PLEASE NOTE THIS AMMUNITION WILL NOT FIT THE MAGAZINE OF A DESERT EAGLE OR LEVER ACTION RIFLES. Deliver bone crushing, deeply penetrating power on large game from your .44 Remington Magnum with Littlestone Ammunition's Custom-Quality Excel Elite loading of the 320 grain Cast Performance Wide Long Nose Gas Checked lead bullet. Delivering 1,093 ft. pounds of energy with a muzzle velocity of 1,240 fps, this 50 rounds is sure to drop 'em where you want. 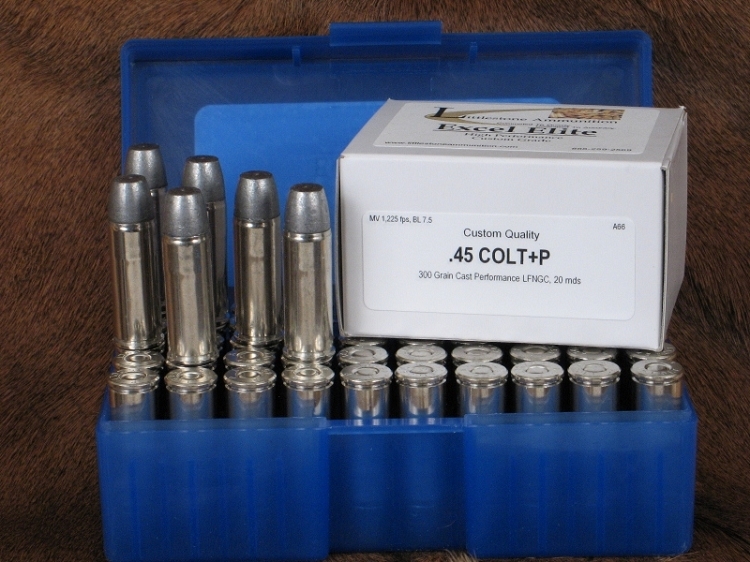 This ammunition is designed to provide the handgun hunter the maximum accuracy and terminal performance. Feature 3: MV / Energy / Barrel: 1,240 fps / 1,093 ft lbs / 7.5"